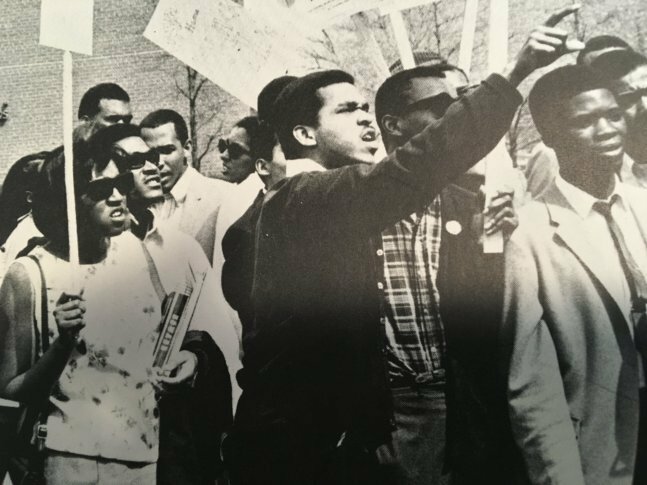 The campus protest is one of the iconic images of the domestic controversies of 1968, but not everyone realizes the first one happened in D.C., at Howard University. WTOP checks in with two of the organizers of that protest to find out what it was about, whether it worked and how it has affected their lives in the half-century hence. WASHINGTON — The national tumult of 1968 was marked by iconic images, including the campus takeover — students occupying critical campus buildings and shutting down institutions for days. The Columbia University takeover in April of that year was the best-known, but it appears the first one happened in D.C. 50 years ago this week. About 1,000 students at Howard University took over the administration building, leading to the shutdown of the school from March 19 through March 23, 1968. As the anniversary approached, two leaders of the protest — Adrienne Manns Israel (then Adrienne Manns) and Anthony Gittens — spoke with WTOP in separate interviews about how the demonstration unfolded, why it happened and how it affected the rest of their lives. It was far from the first protest at Howard. The takeover was the result of months of planning and years of grievances, the two organizers said. On Tuesday, March 19, 1968, about 1,000 students held a rally in front of Douglass Hall. From there, a group of students entered the administration building. The next move was to conduct a sit-in at President James Nabrit’s office until their demands were at least addressed, if not met. The activists wanted Nabrit’s resignation; a judiciary system for student discipline; an emphasis on African-American history and culture in the curriculum, and the dropping of charges against 39 students inspired by the above issues who had made a protest three weeks earlier at Howard’s centennial Charter Day celebration. As they entered the building, it turned out they had more support than they thought. Security guards went from classroom to classroom, locking the doors and telling students and professors that the university was closed. The medical buildings remained open, however. But the curriculum wasn’t reflective of the students – there were no courses on black history. The theatre department didn’t do works by black playwrights. No jazz, blues or gospel performances were allowed in the fine arts building. By March 21, the third day of the protest and second of the shutdown, Lorimer Milton, the chairman of the board of trustees, told the Washington Evening Star that he didn’t know when the university would reopen, but that “When it does reopen, it will reopen for students who want to go to college and not for students who want to sit in the administration building.” He added that the university was looking to see what legal action could be taken. Protesters in the administration building had grown to about 1,200, the Evening Star estimated, adding that students were rotating in and out of their dorm rooms to freshen up, and plates of food were being brought in. The university also announced that all students had to be out of the dorms by the following day. That didn’t endear them to the parents who had to drive, in some cases over rather long distances, to retrieve their kids. The civil rights documentary “Eyes On the Prize” claims that one of the seismic events on the campus was the successful campaign of Robin Gregory for homecoming queen in 1966. She had an Afro — a natural hairstyle that was modest by today’s standards, but jarring to those used to processed, straightened black hair. From there, a black-awareness movement grew: In 1967, Gen. Lewis B. Hershey, director of the Selective Service was booed off the stage at Howard, with one protester shouting “America is the black man’s battleground.” And earlier in March 1968 came the Charter Day protests. It didn’t take long, however, for the movement to bump up against some of the more established features of Howard culture. Howard professor Charles Epps said, “I don’t know how Howard could have been more black. … [There’s no] black physics; there’s no black engineering; there’s no black medicine. The mission of the university was to train students to be competitive and competent whatever their field. But many of the students — though by no means all – saw the development of a black consciousness, as well as a connection with the surrounding black community in D.C., as part of Howard’s mission. They also were among the first college students to see their campus as a microcosm, one where students, teachers and administrators should work to create the kind of world they wanted and not just prepare them for the world that was. The number of protesters numbered about 1,000 out of the roughly 9,000 students at Howard at the time, and not everyone was on the activists’ side: Student Bar Association asked the District Court to force the university to reopen. The judge said that if the law school wasn’t reopened by Monday, he would order the students to leave the administration building. In the pre-dawn hours of Saturday, March 23, a deal was struck: Charges would be dropped against the 39 students involved in the Charter Day protests; the students got the student judiciary committee they wanted, and the next year, a seminar called “Toward a Black University” would be held at Howard to discuss curricula at the school, as well as other black colleges. Nabrit would not resign; he planned to retire at the end of the next school year anyway. After an hour of discussion and a voice vote, the students agreed to the deal. It was announced that afternoon. She agrees now with Gittens and others that “I was wrong” to hold out for Nabrit’s resignation. A leader in the civil rights movement of the 1950s and ‘60s and a counsel in the Brown vs. Board of Education Supreme Court decision that integrated American public schools, she realizes now that he’d earned the right to go out on his own terms. There have been more than a few protests and sit-ins at Howard since then, most notably a 1974 protest over a tuition increase, a 1989 protest demanding that notorious political operative Lee Atwater resign from the board after his racist comments became public, and another as recently as 2015. Gittens said he gets invitations to advise or be part of such actions, but stays away. “They have to make their own decisions,” he said.